Revenue grew 21% to USD 623.1 million, including USD 7.5m contribution from two acquisitions completed in 2018 and the full year impact of acquisitions completed in 2017. 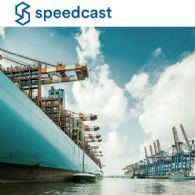 Speedcast International Limited (ASX:SDA) (OTCMKTS:SPPDF), the world&apos;s most trusted provider of remote communication and IT solutions, today announced that Speedcast CEO Pierre-Jean Beylier will attend the Deutsche Bank 2019 Media, Internet & Telecom Conference taking place at the Breakers Hotel Palm Beach, Florida on Tuesday, 12 March 2019. 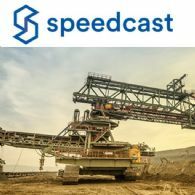 Speedcast International Limited (ASX:SDA) (OTCMKTS:SPPDF), the world&apos;s most trusted provider of remote communication and IT solutions, today announced its preliminary financial results for the twelve-month period ended 31 December 2018 (CY2018). 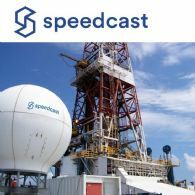 Speedcast International Limited (ASX:SDA) (OTCMKTS:SPPDF), the world&apos;s most trusted provider of remote communication and IT solutions, today announced that the company will begin to offer Intellian&apos;s v240MT antenna to its Cruise and Energy customers. Speedcast International Limited (ASX:SDA) (FRA:7SC) (OTCMKTS:SPPDF), the world&apos;s most trusted provider of remote communication and IT solutions, will announce its financial results for the full year ended 31 December 2018 on Tuesday 26th February 2019 at 10am Sydney time. Speedcast International Limited (ASX:SDA), the world&apos;s most trusted provider of remote communication and IT solutions, today announced that it will replace the Cook Islands&apos; existing international hub termination service with a new domestic hub for data, voice, domestic terrestrial television distribution and cellular backhaul. 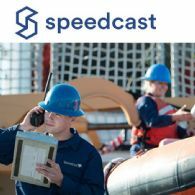 Speedcast International Limited (ASX:SDA), the world&apos;s most trusted provider of remote communication and IT solutions, today announced that Globecomm, Speedcast&apos;s recently completed acquisition, has finished in the development of a nationwide satellite backhaul network for a "Big Four" U.S. mobile carrier.